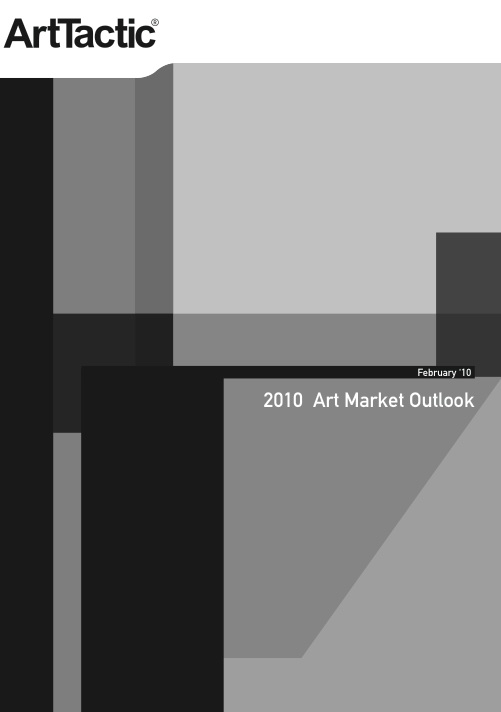 ArtTactic’s Global Art Market Outlook report examines the current trends within the United States and Europe as well as the rest of the top art markets. There is a snapshot of the overall art market barometer and an individual breakdown of the welfare and performance of each region. This report includes auction analysis and the expectations for the year ahead. The US and European contemporary art markets have staged a solid recovery, with New York taking the lead in 2009. The auction volumes in New York were up 46% from the spring sales in 2009. Recent February sales in London came in above expectations and the total value was more than double than June 2009.